The Ontario Association of Paramedic Chiefs hosted a three-day conference and awards gala featuring leaders in paramedicine innovation. The OAPC featured some of Canada’s most influential leaders and world-renowned motivational speakers. 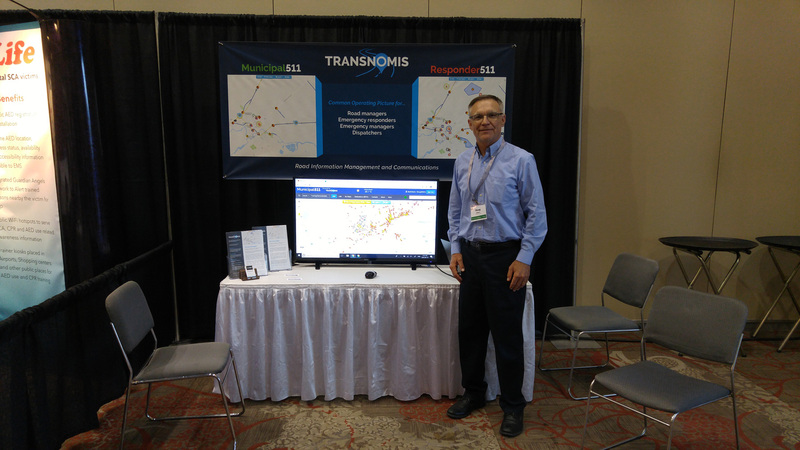 Transnomis participated on the trade show floor as a vendor. Transnomis specializes in road information management and communications; for those with road information, and all who need it. In 2017, mapping road obstructions for responders became a top priority. Today, nearly 100 Ontario municipalities are served by the award winning Municipal511 and Responder511 web services. Road data collected by Transnomis is being shared with navigation and emergency services vendors, as well as key stakeholders.